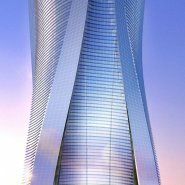 1 Park Avenue, a 550-meter, 116-story tower with a trio of podium buildings at its base, is a signature feature of Dubai’s Jumeira Gardens development. 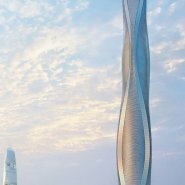 With its undulating sculptural form—which can be interpreted as referring to a string of pearls, which have been harvested and traded in Dubai for generations—the tower will be one of the city’s most poetic and evocative structures. 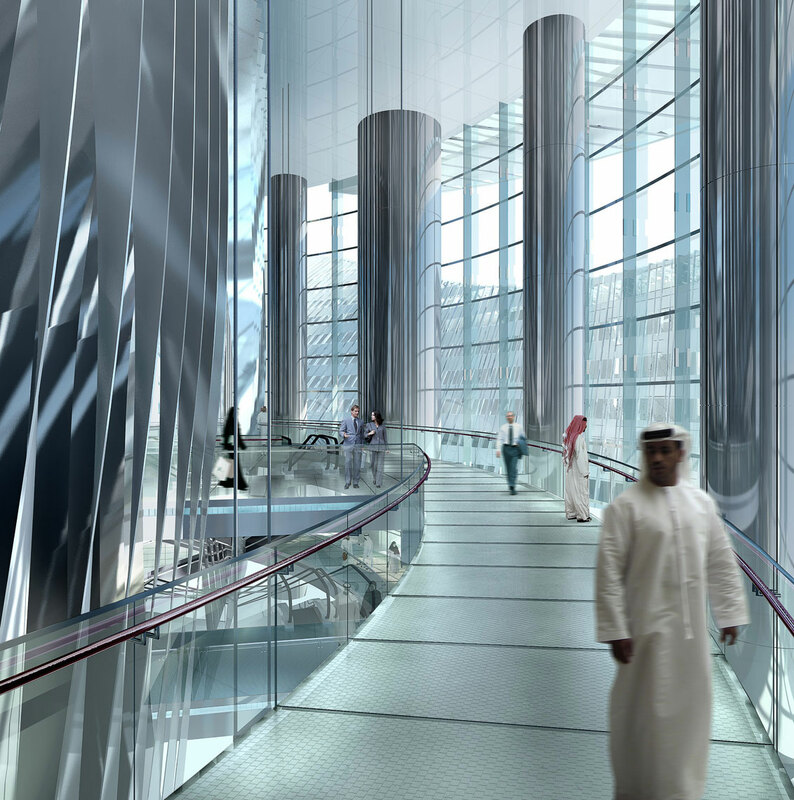 It’s also an example of cutting-edge sustainable design. 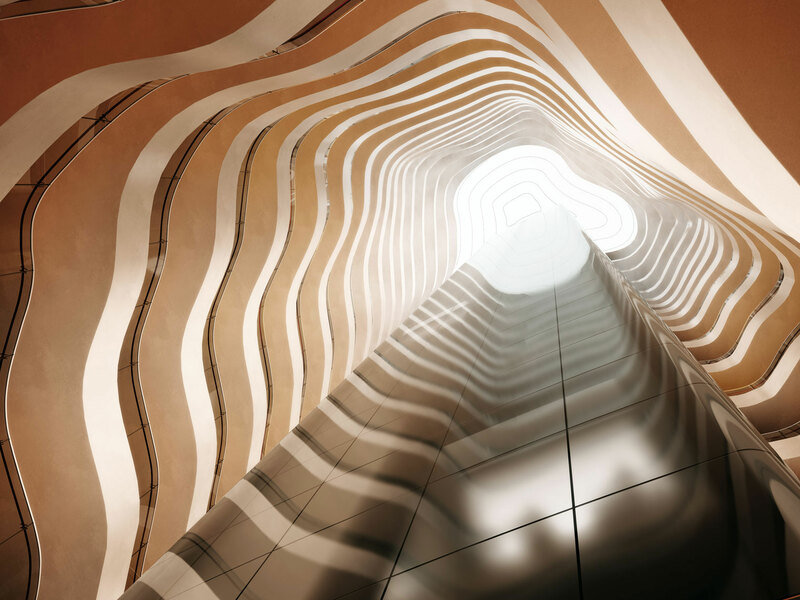 1 Park Avenue’s transparent skin will feature a high-performance exterior wall that controls the transfer of heat and light from outside with the help of a high-tech system of light shelves and light-sensor-activated shades. 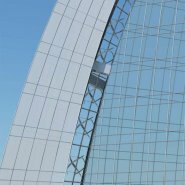 Shading fins jut out above each floor, shading the glass beneath, which allows for a more transparent curtain wall and adds visual texture to the building skin. Integrated photovoltaic cells will harvest solar energy. 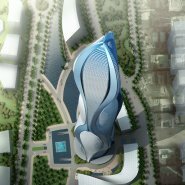 The approximately 600,000-square-meter mixed-use complex houses premium offices, condominiums and service apartments, along with the world’s highest luxury hotel. 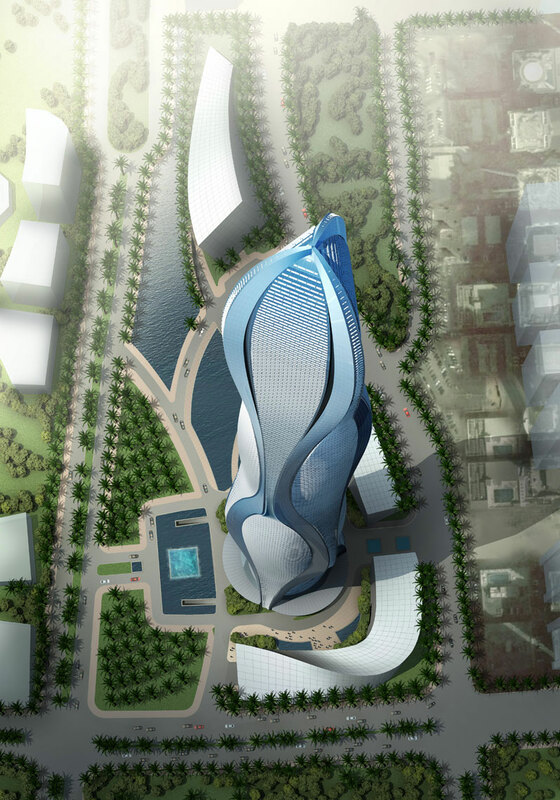 Its three podium buildings, whose flowing form complements the tower’s own, provide offices and support for the hotel in a park-like setting. 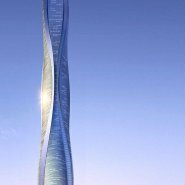 Besides its distinctive sculptural form, the tower features an exclusive club/observatory space at the top, with a 20-story-high dome and two restaurants. 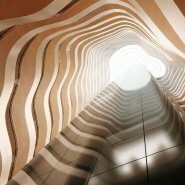 The hotel features a multi-story atrium. 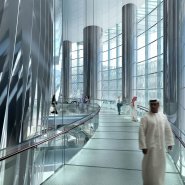 At the tower’s base, visitors will enter through a soaring, multi-story lobby with double-decker elevators and a series of elevated and suspended glass walkways. 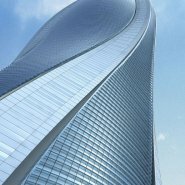 The tower’s undulating form means that each floor plate is different from all the others, even though all are trisymmetrical. 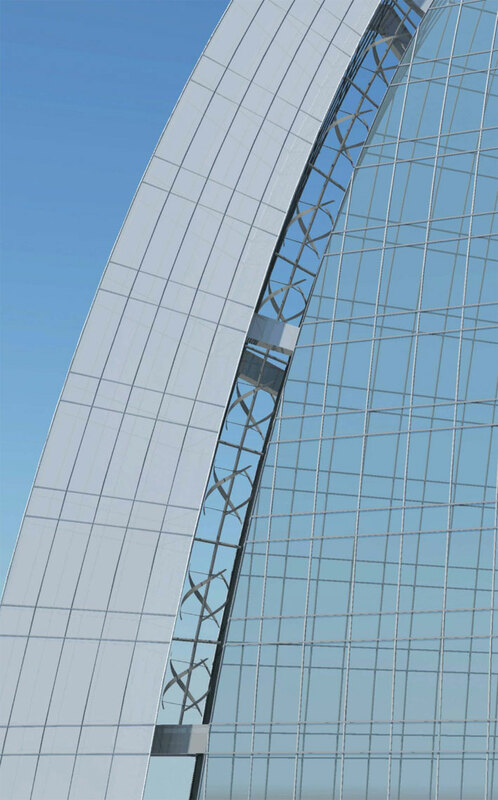 Some floor plates are almost round, while others resemble a triangle imposed on a circle. Each has ample access to views and daylight. 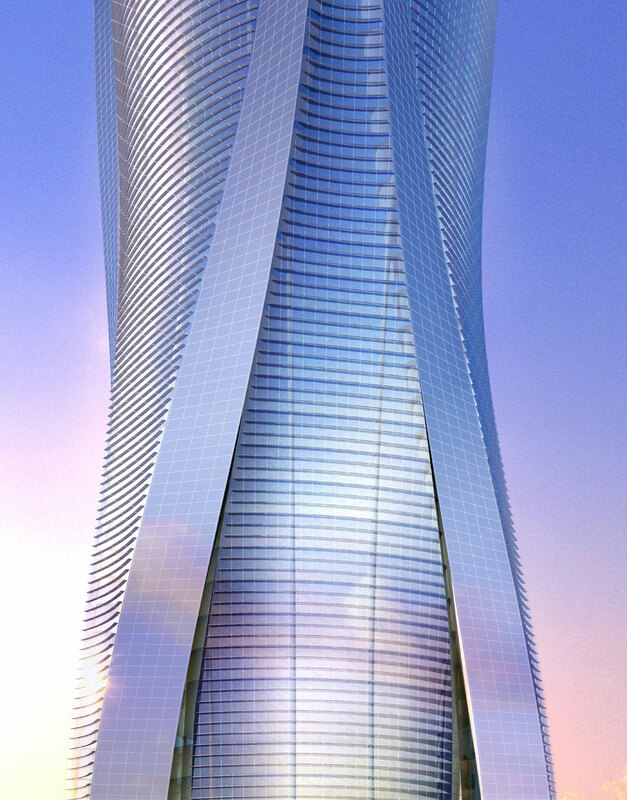 Other facilities and amenities include a business center in the tower’s residential zone; a health club, Olympic-sized swimming pool, ballrooms and meeting rooms in the podium buildings; lush landscaping with fountains and other water features throughout the development site; and four levels of underground parking.